Suzuki Inaka is my alt. I created her for use in geisha shows when I was a member of the Yoshiwara Okiya. Her name was created as an homage to my then onesan, Suzume, but shortly after Suzuki was born things went very wrong with my relationship with my onesan. I haven’t used Suzuki for anything since. I found a new onesan, Masumi, but things were never the same for me after the incident with my former onesan. I suppose I’ve kept Suzuki “alive” because I held out the possibility that I’d return to the okiya, but the new year is approaching and it’s time to get rid of this alt. After next week’s stipend payment, Suzuki will join my first alt Starling Raymaker in the delete bin. This will be the symbolic end to a giant failed purpose, and more proof that alts just aren’t for me. 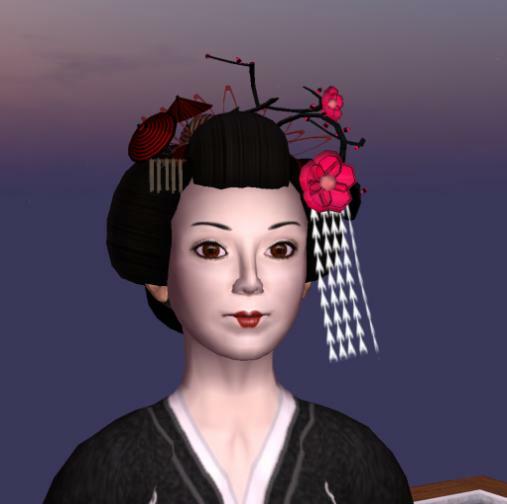 This entry was posted in Journal and tagged Geisha & Samurai, Second Life. Bookmark the permalink.